Q. 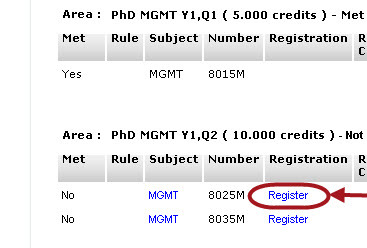 How do I self-register for courses? Once you are logged into your portal, on the left side of page select Menu. 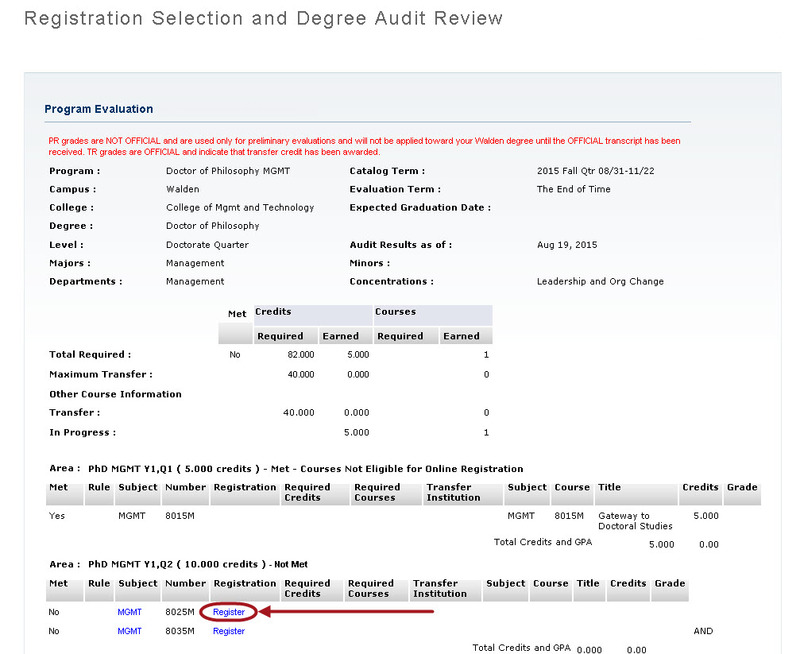 select the Register for Class/View Degree Audit link. 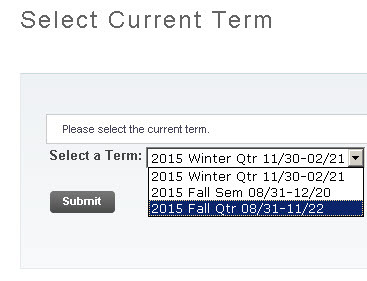 In the drop down menu of available terms, select the appropriate term for registration – review the Academic Calendar in the Student Handbook or learn how to contact an Student Success Advisor for assistance in determining which term you need – and then hit Submit. 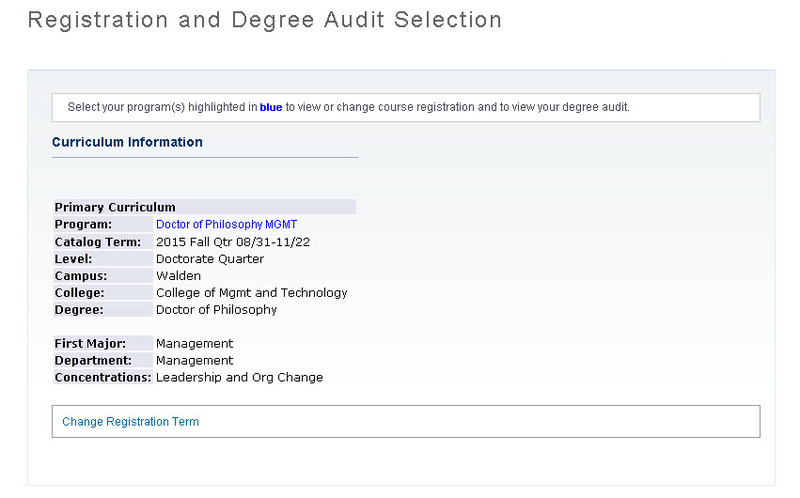 This is your Degree Audit screen - scroll down to the link that says Register underneath the course of your choice. On the next page check the box for the course and hit Register. 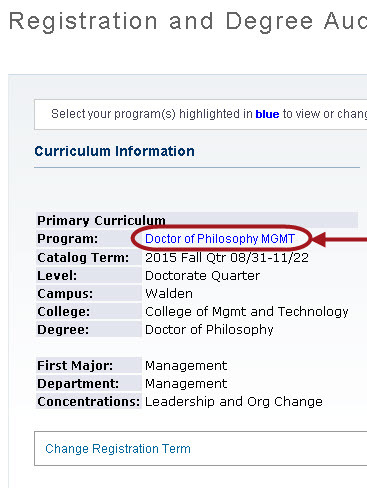 If there is more than one section of a course available, select whichever one is first available – they are all the same course, just different instructors who have likely not been assigned at the time you are registering. You should now be fully registered for the upcoming quarter. Please note: The following page may ask you to confirm the dates of the course – if you get this message, make no adjustments to the dates and hit Submit Changes as the changes being made are to your account, not the course information. Your confirmation of the registration being successful is the course's appearance under the Future Courses section of your Academics page. If you experience any difficulties in self-registering for your course or are unsure which course is next, please send an email to your Student Success Advisor to request assistance with your registration.